Follow Mothball, an adorable wombat, as she goes about her week sleeping, eating, scratching, digging holes and training humans to give her food on demand. Diary of a Wombat is a highly entertaining book. It’s brief, simple text and hilarious illustrations encourage children to make inferences about the story. Children enjoy comparing Mothball’s point of view with what the humans probably thought about all of Mothball’s antics. 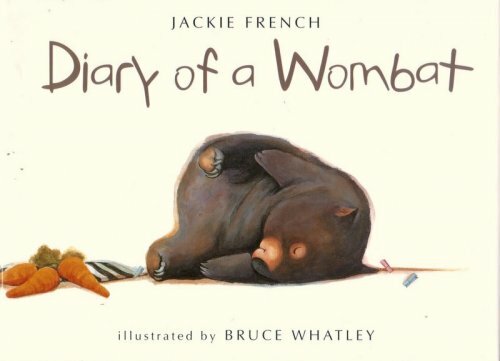 Diary of a Wombat is written in past tense and contains repetition of a range of irregular past tense verbs, such as ate, slept and dug. For further speech and language targets in Diary of a Wombat, see the list below.